American novelist and short story writer Yang Huang. 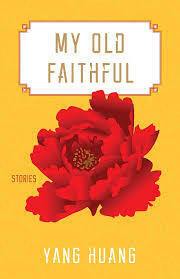 Her new novel in stories is My Old Faithful, winner of the Juniper Prize for Fiction (University of Massachusetts Press). This week’s Write the Book Prompt was generously suggested by my guest, Yang Huang. Alter the rhythm of your writing to jog your creative mind. First, work on a problematic scene by focusing closely on the language, painstakingly going over every word choice, until you make it work or realize this needs to be cut. After a short break, return to the desk and write as fast as you can, hardly reading what you wrote. Silence the inner critic for the time being, and set your mind free. Write for an hour, until you slow down, or you want to read over the passage. Sleep on it. Edit the passage next day and throw away any material you cannot use. Analyze the movement in your narrative. What have you discovered about the story and characters? 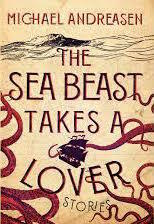 Prize-Winning Author Michael Andreasen, whose new story collection is The Sea Beast Takes a Lover (Dutton). 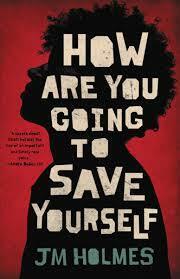 This week’s Write the Book Prompt was generously suggested by my guest, Michael Andreasen. Try to find an oblique angle - an odd vector of approach. Sometimes this is as simple as not starting in the place where you have the impulse to start. So if your charaters are in a room, perhaps begin in the other corner of that room. Describe the air coming in the vents, or something happening outside the window. Or maybe a sink in a nearby bathroom is making a noise. Move the focus someplace else. We have such an urge to get to the ONE thing we want to talk about, and talking about only that thing can become boring. A dripping faucet, or an unattended child spotted through a window, about to wander into the street, can ramp up the tension. Upon his passing in 2017, Howard Frank Mosher was recognized as one of America's most acclaimed writers. 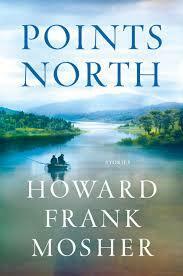 He finished his final book, Points North, just weeks before his death. On today's show, in celebration of Howard Frank Mosher, and with the permission of his publisher, St. Martin's Press, I'll read one of the stories from this last collection, "Where is Don Quijote?" This week’s Write the Book Prompt, drawing from the last sentence of Howard Frank Mosher’s story, “Where is Don Quixote?” is to write about "the one thing left in this world that you are certain of." Author Melissa Fraterrigo, whose new novel is Glory Days (Univ. of Nebraska Press). This week’s Write the Book Prompt was generously offered by Melissa Fraterrigo. Take out a story, poem or novel by a writer you admire and look at one page. Isolate words that are evocative or “pop” for you. List them. Then use these words to write a sentence that feels like an opening—and write your own paragraph or scene and insert it into this place. Feel free to continue adding words from your list to your scene. The objective is to use language in a striking way and let it prompt you to use vocabulary different from your own. Award-winning author Joan Wickersham, whose memoir The Suicide Index, was a finalist for the National Book Award. We discussed her story collection, The News From Spain (Vintage Contemporaries). I love the way that Joan Wickersham was able to write seven stories that vary thematically but are all titled The News From Spain. Can you think of another context for this title? That’s this week’s Write the Book Prompt. Consider ‘The News from Spain’ as a concept, and write. If you haven’t read her book, and so don’t know what contexts to eliminate, try that much harder to think of applications that might seem a little wacky or outside the normal frame. Or maybe go read her book! 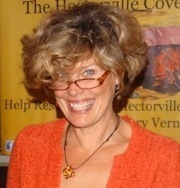 Interview from the archives with Vermont author Megan Mayhew Bergman. 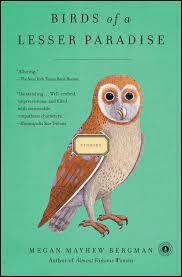 We discussed Birds of a Lesser Paradise, published by Simon and Schuster. Since this interview, Megan has published another story collection: Almost Famous Women. Today's Write The Book Prompt is to write about the way light is coming through a nearby window. A new interview with Christine Sneed, whose new story collection is The Virginity of Famous Men (Bloomsbury USA), just out this week. Someone who works on the housekeeping staff in a Las Vegas hotel. Someone who owns 30 pairs of blue jeans. Someone who runs a tow truck. Someone who wants a famous face. Now answer those ten questions in the voice of the character. 2011 interview with Joan Leegant, author of the story collection, An Hour in Paradise and the novel that we discuss in the interview, Wherever You Go, both published by W.W. Norton & Co. This week's Write the Book Prompt is to write a scene or poem or paragraph backwards. It can be a piece that you're stuck on, something you're trying to revise, something you've yet to attempt. Consider how you would normally go about writing it and write it "backwards." Let this mean whatever makes the most sense for you. Is your structure chronological? Change the flow of time. Would you normally introduce your characters in a certain order? Change that order. Would you setting begin indoors and move outdoors? Swap that. Write it backwards, and see if this opens up anything interesting for you.